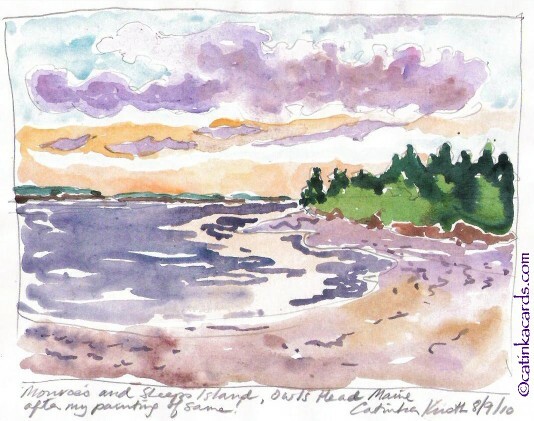 Watercolor of Monroe's & Sheep's Islands, Owls Head, Maine, a demonstration painting now available as a notecard to download! $2.95 - Monroe's & Sheep's Island printable frenchfold notecard to download and print at home. Prints on 8.5"x11" paper. Fold into quarters to fit A2 envelope. Let me know if you prefer this in a different format. 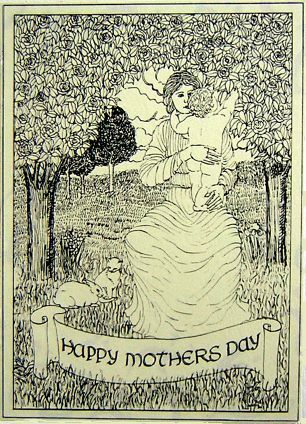 Scroll down for the Mother's Day Card to print out. So much one can't find words to say. Readying Child to go forth in the world. That has led us through our years. Download Mother's Day Card pdf (1.3 mb). Print out on 8.5" x 11" paper, fold in half then half again (french fold).